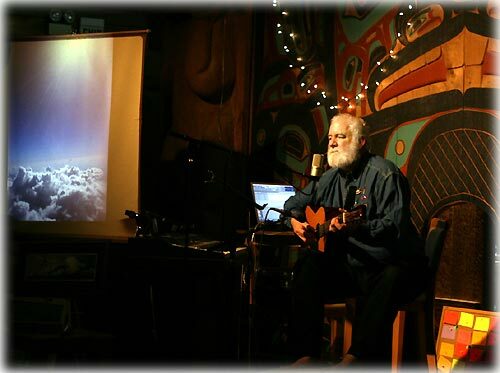 Ketchikan, Alaska - Dr. Ernie Meloche celebrated his 61st birthday Tuesday night with friends at the Saxman Tribal Hall. Dr. Meloche shared his poetry and songs he has written and presented a slideshow of photos he has taken on his travels around the world. He told tales of the things that have made his life so rich, sharing the funny stories of love, living and laughter.